One of the biggest challenges every novice photographer faces is to pick a perfect backdrop for their studio or outdoor shoot. Today’s market offers hundreds of backgrounds ranging from a solid muslin cloth in black, red, white or any other color, to ones that feature artistic images of landscapes or buildings. How to choose the best photography backdrop for your needs, skills and, most importantly, wallet? If you lack knowledge and experience in the sphere of photography equipment, you can end up with a useless piece of cloth. On the contrary, a meaningful choice of backdrops will help you accurately depict the mood and personality of the subject being photographed and impact the quality of your final shot. Forget about studying long tutorials, we’ve collected all the valuable information and advice here for you. Keep reading this guide and learn the ins and outs of photography backdrops! When choosing a backdrop size, think about the size of your studio and photo subject. For example, the person you’re going to shoot should be positioned at least 3 feet away from your backdrop to prevent shadows. So if you pick a backdrop that’s way too big for your tiny studio, you can end up with a large piece of fabric you have nowhere to put. 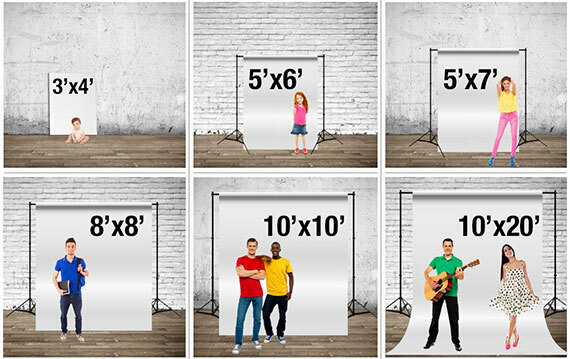 Below we list the most common and widely used backdrop sizes for you to check out. A 3.5-foot wide or long backdrop is your smallest option. They are a perfect choice if you are shooting tight headshots. These backdrops are easy to store and are the most cost-effective option as well. 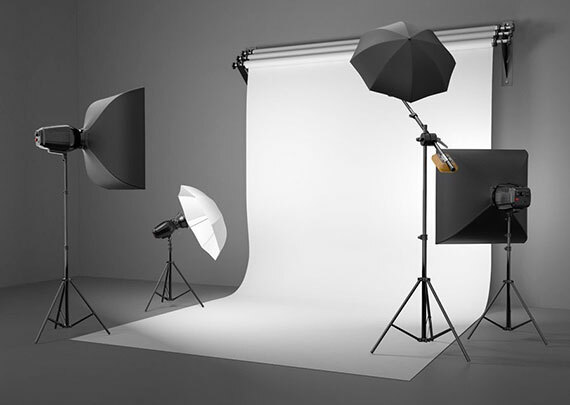 A 5 or 6-foot wide backdrop is a great size for headshots and ¾-length portraits. These backdrops are easy to manage and require minimal space to set up. They are ideal for event photographers who often work in busy spaces or small home studios. 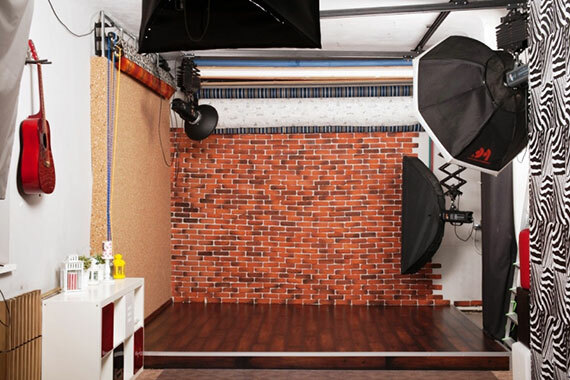 A 9 or 10-foot wide backdrop is what can be found in most professional studios due to its versatility. These full-body portrait backgrounds will accommodate everything from portraits of children to portraits of families. A 10 or 12-foot long backdrop is an essential addition to your studio if you plan on shooting full-length portraits or larger product shots. 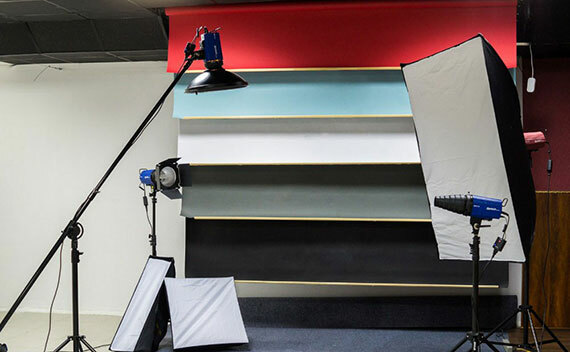 A 20 or 24-foot long backdrop can cover just about every style of portraiture and product photography. These backdrops are great if you want to photograph a larger family full-length, or have a video shoot that requires movement. However, they need a large and solid backdrop support system so plan out extra budget for it. Such a wide choice makes you dizzy? If you’re just a beginner, don’t be in a hurry to purchase the largest and most expensive variant. For a start, order a 5x7 standard backdrop or a bigger one with size modifiers 3.5 to make it more compact if the need arises. As a rule, Savage Universal offers you a wide range of options for every budget and taste. Today there is a plenty of backdrop materials available in the market. They vary in levels of reflectivity, different designs and colors, and the ability to stand up to wear and tear. Each one has its own appeal depending on the subject of your photo so consider your options carefully to get the most from traditional backdrops for photography. Here, we’ve listed a few common options for you to choose from. 1. Muslin backdrops: their solid color provides a formal look, which is the ideal option for shooting serious portraits or ID pictures. This backdrop is a reusable item that is washable when dirty. 2. Paper backdrops: these are known as seamless rolls and provide a one-time use. You can find almost any color or texture for your background, depending on the type of photos you are taking. 3. Vinyl backdrops: They are the most cost-effective option as their surface can be wiped clean with a damp cloth. What’s more, these backdrops are completely foldable for storage and are not affected by humidity. 4. Painted canvas backdrops: these are quite heavy and large so they’re usually seen in photo studios rather than in outdoor shooting. They are mounted on a holder and should not be folded because wrinkles in canvas are not easily removed. 5. Polyester backdrops: this fleece-like fabric is free of glare, machine washable, and collapsible. Because of its matte surface, these backdrops are easy to light and are great for green screen composites, high-key white shots or low-key black shots. Choosing a perfect backdrop color is more important than a novice photographer may think. Different colors convey a different tone and mood to a portrait and transform based on the subject’s skin tone, hair color, clothing and eyes. For example, black backdrops add an elegant touch to every portrait and are ideal for subjects that really want to stand alone. Gray is a neutral color that can subtly emphasize the subject without distracting the viewer and naturally draw their eyes towards the image center. A red backdrop calls attention to itself and should be used carefully and artistically for portraits. Blue can be ideal for some photos yet absolutely wrong for others. It’s often associated with masculinity and used behind men in portraits. The most popular photo backdrop color is white, as white never goes out of style. There is a sense of purity to white backdrops, which makes babies, pets or families perfect for portraits in front of a white background. A backdrop and lighting should work together to create a high-quality picture. The proper type of lighting that complements your background can highlight certain aspects of your subject including facial expressions, hair or skin color. When using a backdrop, it’s vital to keep your contrast in check. A too light background can distract and pull the focus away, while too dark backgrounds highlight the subject in an unflattering sense. For a fresh or clean appearance, go with high-key lighting. High-key lighting will “blow out” your backdrop and focus attention on your subject. For a dramatic or edgy appearance, go with low-key lighting. Low-key lighting also focuses attention onto your subject by surrounding them in shadows instead of light. Be no stranger to unique lighting techniques for party and for wedding photography, and you’ll be able to give these shots a personal yet professional touch. When you begin shooting, follow these simple rules to ensure you backdrop works with your subject. 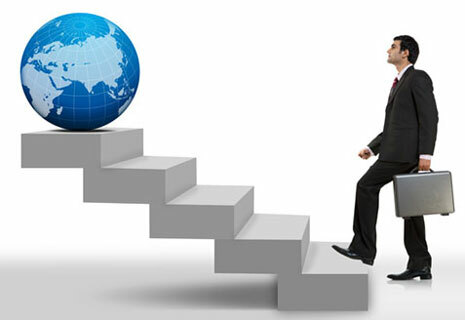 In the end, you’ll receive quality results without distractions or bad lighting. 🎦 Your subject should not stand too close to the backdrop. For many backdrops (especially speckled or textured ones), placing your model about 6 ft. or more in front of the backdrop is ideal. This will diffuse backdrop details and allow your backdrop to “stay in the background”. It also helps to prevent funny reflections and/or shadows. 🎦 Store your seamless paper backdrops upright. Keeping them in a folded form will create a sagging in the middle and produce big “wobbles” when you go to stretch it out. It’s also recommended to use backdrop stands for photography. The background with blemishes or lines will reduce the quality of your photos. 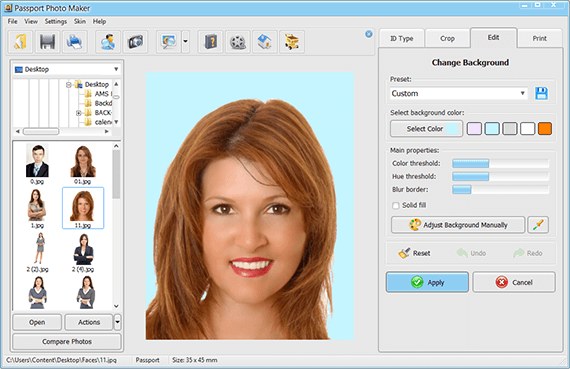 🎦 Use a digital backdrop to save yourself time and money.Passport Photo Maker software lets you change background right on the photo. You just need to select the required color for an ID or artistic picture and adjust the settings for automatic background replacement. If you still need to correct some areas after changing the background, it is easy to do with built-in editing tools like the Color brush and Eraser. 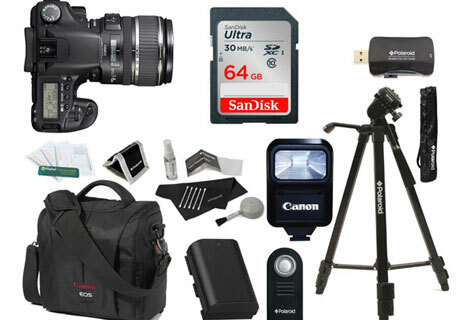 Need more professional equipment for your photo studio? 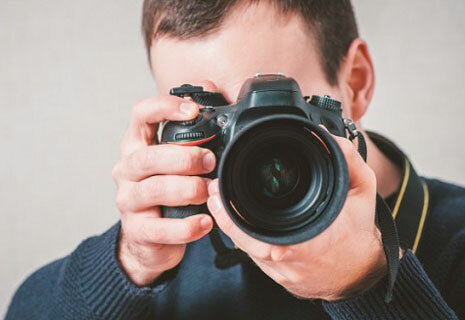 If you’re just a beginner but want to become a real pro in photography, view other must have items presented in our guide. 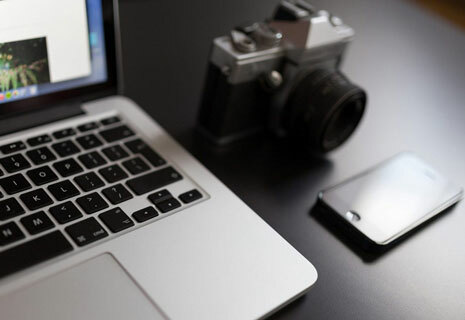 There you’ll find helpful advice on different camera models, suitable bags and straps for safely transporting your equipment, powerful SD memory cards to store your images and much more.